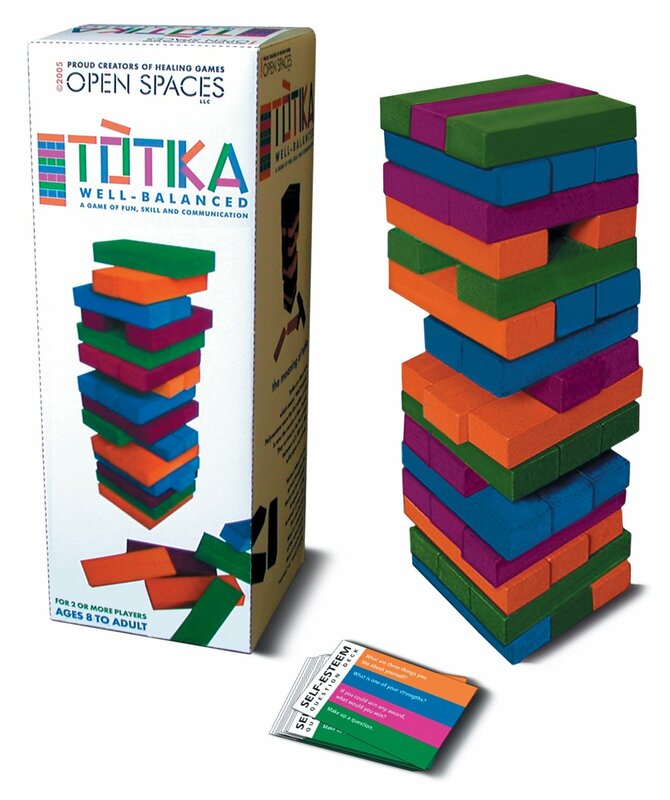 Totika, a Maori word meaning \"well balanced\", is a woodblock stacking game unlike any other. Our original version of Totika includesthe Self Esteem question card deck, which challenges players to talk about howto set and achieve goals, identify role models, develop coping and criticalthinking skills, and strive for self improvement and success. Players taketurns pulling blocks from the stack and responding to questions. Over the lastdecade, Totika Self Esteem has become a favorite communication and selfimprovement game of parents, counselors, educators, medical professionals andeveryone that works and plays with kids! From the Manufacturer Totika is awood stacking game like no other. While trying to keep the stack from fallingover, players draw cards and answer questions to promote personal growth,self-esteem and life skills.Â Totika comes with the self-esteem question deck.